The main objective of SEO is to keep your site visible on search engines. It may sound simpler than it seems, and a more complicated part is to audit. In doing this, you’ll find out which issues has a big impact on your optimization. These are also some of the things which companies that offer seo reseller services does. WEBMASTER TOOLS. Make sure that you check on Google Webmaster Tools for your site. This will let you see important details that you need to know for your site. However, one thing that you need to look at is if there are any messages that would appear upon opening the screen. If there are, you need to attend to this first. Noonetheless, if there aren’t any, you can continue checking for details such as crawl errors and sitemaps. You can also check if there are content that have been block (check Robots.txt). Crawl stats are also important, so you need to check this also. We know that Google is the most used search engine nowadays. However, you should also check Bing Webmaster Tools. A major difference is on how they show their 404 report. CHECK ON YOUR SITE. Look at how many pages your site has been indexed by Google. Compare the result to the number of pages that your site has and you’ll see if there’s a need to make changes. CRAWL. 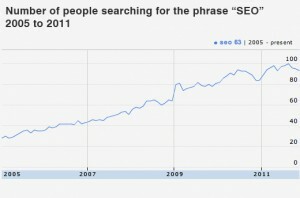 The term “crawl” has been used abundantly by seo specialists. You can use some helpful tools in order for you to accomplish this. You can check your site’s duplicate content & titles, missing titles, duplicate & misisng meta description, and crawl depth among others. KEYWORDS. These words are very essential in SEO. To check if your exisitng keywords are still appropriate to use, check out Google Adwords Keyword Tool. BACKLINKS. Compare your backlinks to your top competitors. You can retrieve data reports of this using some tools. Having this data will let you see if you have a link building problem. These are important things to consider when doing SEO audit.